It's about the traffic signs and symbols. I'd like to show you one from Asmara (the capital of Eritrea. ): By Reinhard Dietrich - Own work, CC0, https://commons.wikimedia.org/w/index.php?curid=17376795. I think that it's a good traffic sign. I saw it earlier. I don't remember where. 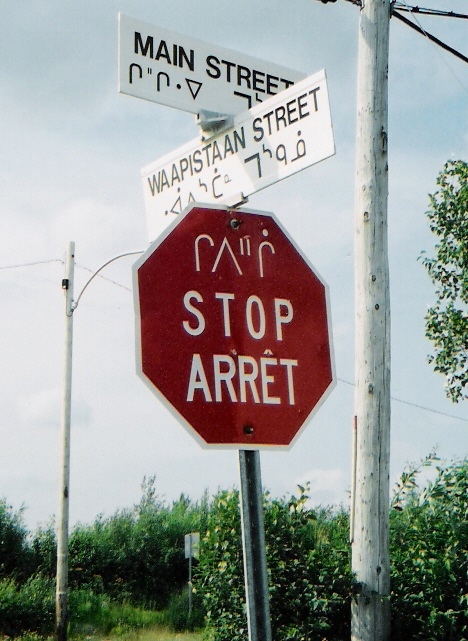 It is a photo of multilingual road signs in Mistissini, Quebec. These road signs are in Cree, in English (and in French). Moose crossing warning with kill-counter, Kenai Peninsula of Alaska. Prior to widespread human settlement, this area was part of the Kenai National Moose Range.